M-26-Julio 羊とめぐる冒険 BMW R1200GSで世界一周の旅 ラトビアの首都リガは美人が多い!? / Heaps of beauties in Riga, Latvia!? ラトビアの首都リガは美人が多い!? 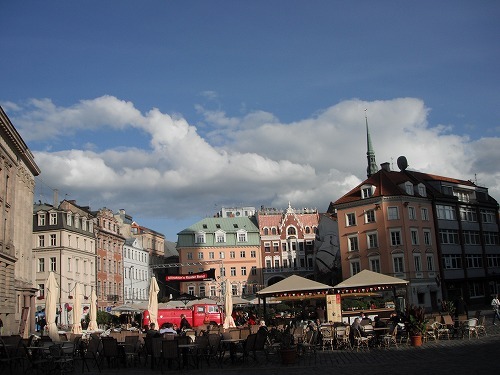 / Heaps of beauties in Riga, Latvia!? It's afine day!. Since I came to Estonia, it's been fine weather. It's not too hot nor oo cold, the perfect climate for riding. A litre of petrol (95 octane) costs 1.40 Euros or so here in Estonia. It's much cheaper than in Scandinavia and Finland. I filled up the tank and left Tallinn. From Tallinn, around 200km south, I passed the border to Latvia. The 41th country to visit on this trip! But the road was still boring. 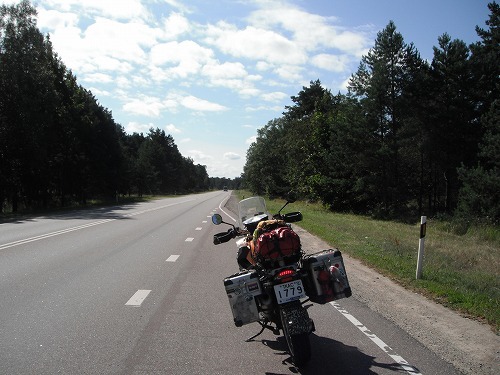 The main highway goes along side of Bay of Riga, but those trees were between the coast and the road, so I could ot even see the sea. I made a lunch and fuel stop at a petrol station. In Latvia the price of 95 octane gasoline is around 1 Lats, whih is around 1.50 Euros. Little more expensive than in Estonia. 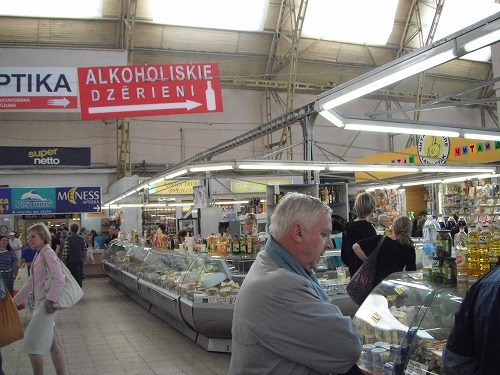 But foods and drinks seem to be cheaper in Latvia. Latvia is a member of EU, but they have its own carrency still. 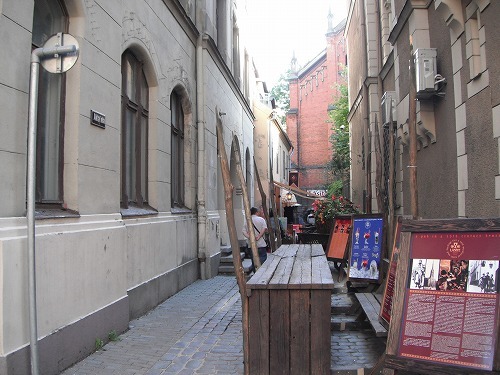 I got to "Friendly Fun Franks Hostel" by 2pm in Riga. Central Market. A lady at the right hand side was really beautiful. Unfortunately, I managed to get a photo of her back side only. Inside Central Market. It reminded me of "Mercado" of Latin America. 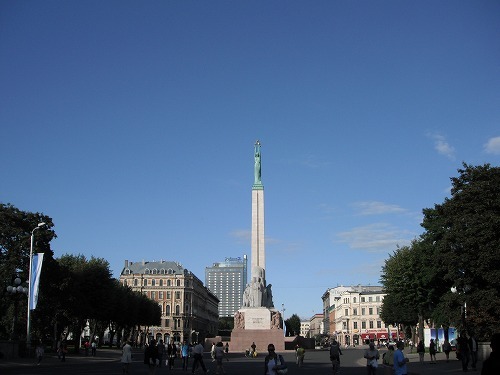 Here Latvia, same as Estonia, it was occupied by Soviet Russia. There are more "Russian" residents here than in Estonia and we could see more remainings of "Soviet" period in Riga. 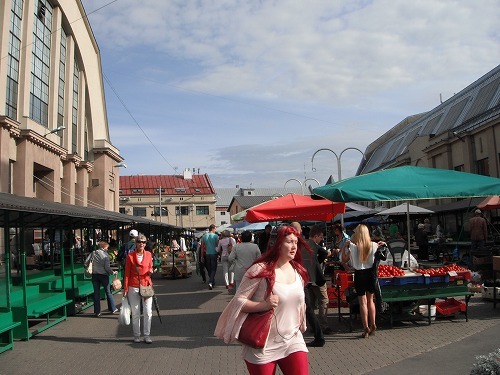 Central Market was also was he part of the Soviet period. 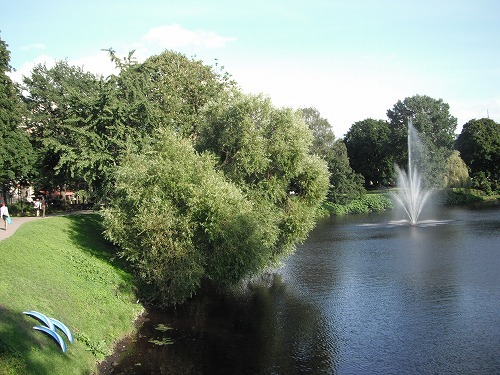 A fountain in a park. A view of the central (?) plaza. A medeival theme restaurant. I just walked pass by and a waitress here was really beautiful!! There were lots of beauties I could see on the street of Riga. 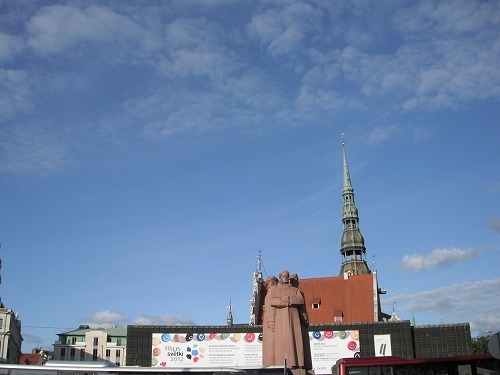 In Tallinn, there weren't much chances I turned back to see beauties, but here in Riga, it happened quite often. The statue looked very "Soviet" to me. Back to the hostel, I met Masa - a backpacker from Japan. He also concerns Japanese future and we talked a lot about it. We went out to the town and having drinks and talked till late. 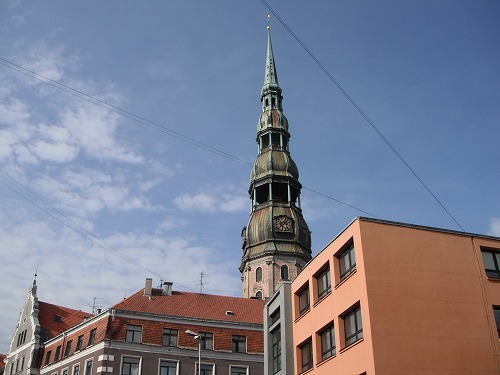 Tomorrow I will explore the city of Riga more. 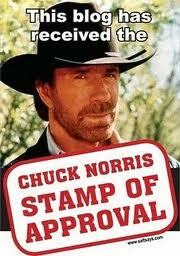 There is a free guide tour offered by the hostel, so I will join it.